Oldmac Toyota always recommends Toyota Genuine Parts and Accessories to ensure your Toyota’s reliability and performance. We pride ourselves on providing an excellent guest experience and quality service. Oldmac Toyota stock an extensive range of Toyota Genuine Parts. Toyota Trained Parts Interpreters are employed to ensure our guests receive the correct Toyota Genuine parts the first time. Oldmac Toyota Parts was awarded the Toyota Bronze Parts Excellence award for 2016. Carry a 12 month unlimited kilometre Toyota warranty*, for extra peace of mind on. Toyota Genuine Parts are also model specific, so you can rest assured your car isn't being fitted with 'one size fits all' parts, as is the case with some non-genuine parts. Invest in Oldmac Toyota Genuine Parts and Accessories, talk to our team today. *12 month unlimited kilometre factory warranty applies from the date sold and subject to warranty terms and conditions. The 12 month factory warranty is in addition to the implied warranties under the Trade Practices Act. Warranty conditions differ for Tyres and Batteries. See relevant sections for details. WARNING: NON-GENUINE PARTS CAN AFFECT YOUR ABILITY TO CLAIM UNDER THE TOYOTA WARRANTY. It is important to note that if a non-genuine part is fitted to your Toyota and that part's failure or the incorrect fitment damages your car, then that subsequent damage will not be covered by your Toyota Warranty. 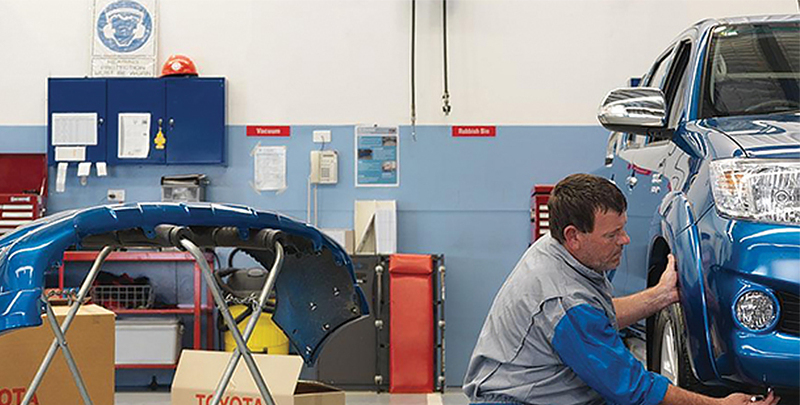 All Toyota Genuine Parts carry a 12 month Toyota Warranty. Conditions apply. The Toyota Genuine Parts Warranty does not limit and may not necessarily exceed your rights under the Competition and Consumer Act 2010. Warranty conditions differ for Tyres and Batteries. See relevant sections for details.